The Archangel Gabriel proclaims the Christmas message. 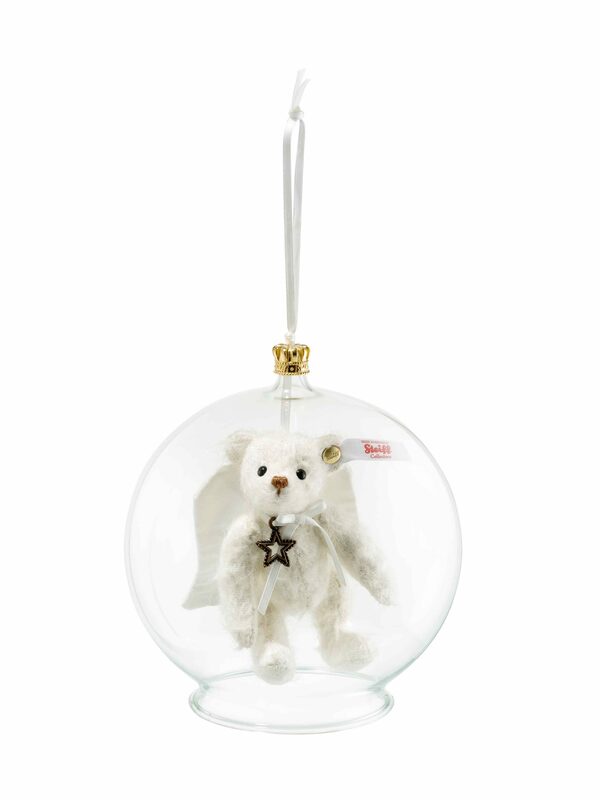 Anyone who already owns Steiff bauble ornaments will be delighted at this new addition to the collection. 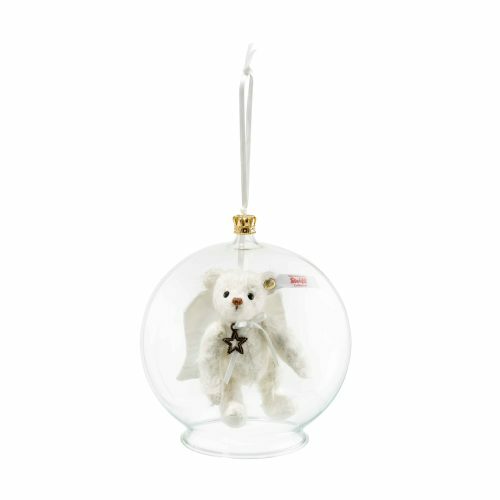 And for everyone else, the angel is the ideal starting point for a new passion: hand-blown in Germany, the glass bauble allows the ornaments to be viewed from all sides, complete with a gold-plated pewter end cap in the form of a crown bearing Steiff lettering. With his angelic face and finely crafted angel’s body of finest mohair, Gabriel is a particularly attractive member of the series – and, as a heavenly ambassador, an ideal gift for someone you love.